...And if you're not here yet, please hurry! It's March and spring is here (or almost), time flies so fast. Spring is my favorite season when I'm in the US. I feel motivated to accomplish something and spring cleaning tops in my agenda. Who says it's too early for that? I believe it's never too early to weed out what's old, unnecessary, or the excesses. Gotta need a clean space for good Chi to flow. Behold what I found, a photography backdrop tube or background core made out of cardboard. Other than it's a prop for a stuffed ogre baby doll, this tube is actually used to roll fabrics or seamless papers for easy storage. That means no more wrinkles and uneven rolling of fabrics or paper. As you can see its not an ordinary core, it is thicker and will not bend with heavy fabrics.It's size is 56" inches x 1 1/3" inches in diameter. 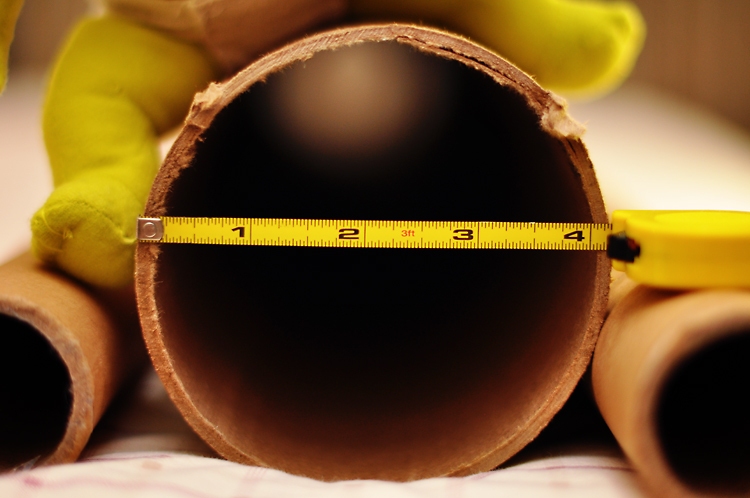 I also found a bigger tube in 50"inches x 4 1/4" inches in diameter size. This can also be used to store posters or what have you. I have more than what I need, so if you are interested I am selling it at $15 for the small ones and $20 for the biggie plus $8 the cost of shipping via USPS. Shipping will take to 5 to 7 days. It will be shipped the way you see it and sold as is with no returns. This offer is available to the continental USA only because the item is in USA. I only accept paypal as a form of payment. Click on Contact to order. Thanks!